Well, after sitting in the rain all weekend waiting for a chance to work on the boat, I finally made some progress on the winch replacement this morning. A star-headed screwdriver and vice grips finally gave me enough torque to break the set screw. I wish I meant break it loose. Unfortunately I mean I broke the head off of it. Once the head of the bolt snapped, the Barlow 25 came apart quite easily. Mary worked the deck side of the screws while I went below with a ratchet, and we had it removed pretty quickly. 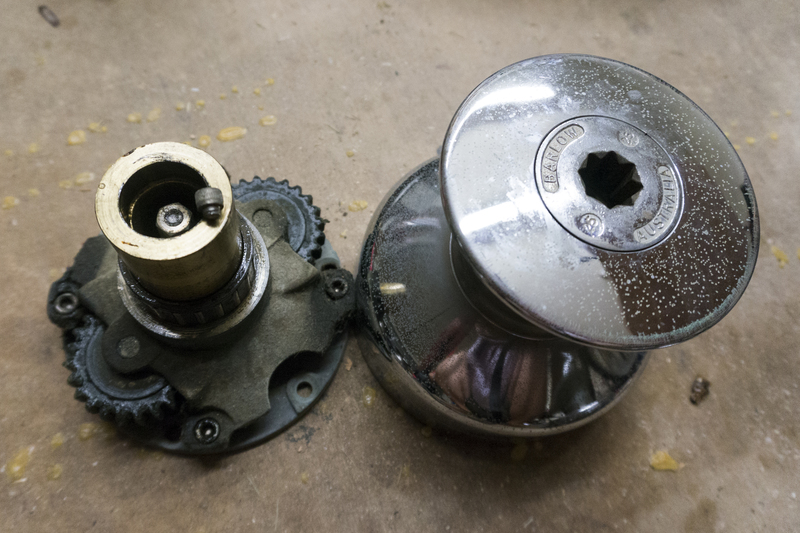 Instead of fighting the set screw in the port winch I decided to try removing the nuts from the bottom first. Magically, I was able to get all five off, so the port winch is still intact, but not serviceable. I think I’m going to have to spend a couple hours this week drilling out the set screws and re-threading the center of both winches, so we can sell them. 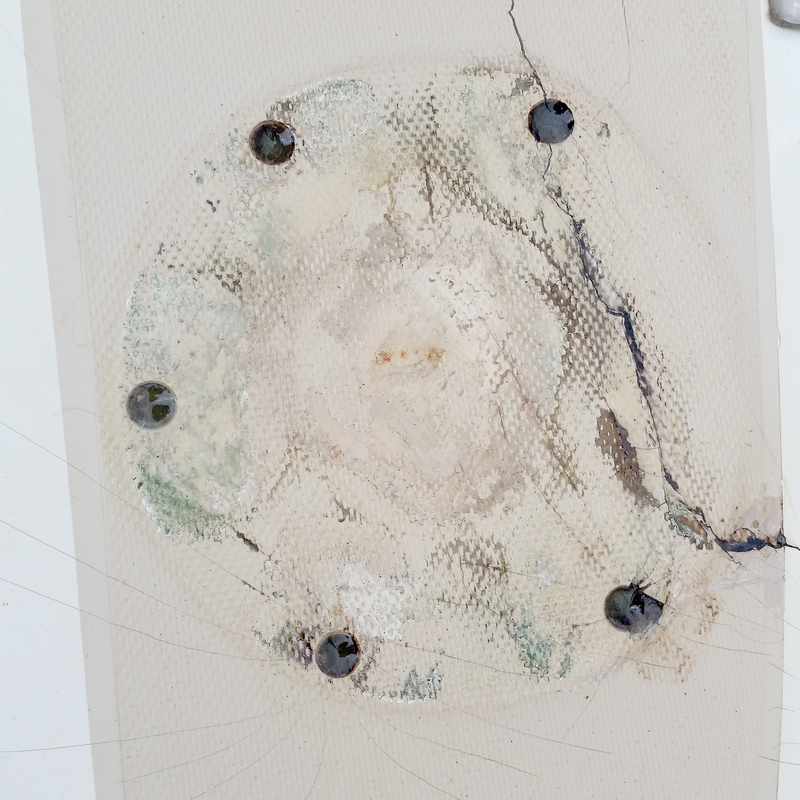 Meanwhile, I began filling the old winch holes in the deck and patching some of the cracks with thickened epoxy. I thought I’d actually finish this project today, but then I ran into the next big hurdle. 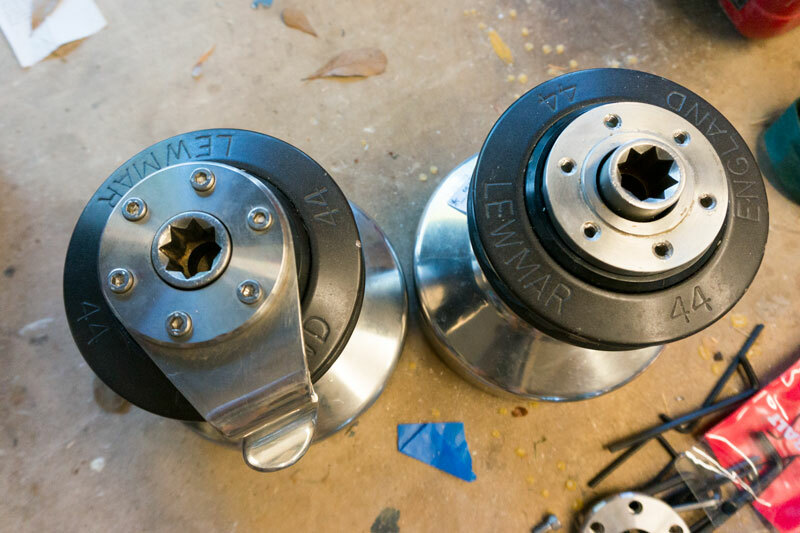 Our replacement winches are vintage Lewmar 44st spring jaw winches with six allen bolts on top. I just assumed that when I removed the six allen bolts, the winch would come apart. Wrong. I’m stumped. I searched the internet for a diagram or service manual with no luck. I also posted on cruiserforum.com looking for help, and nobody has responded yet. Until I can figure out how to take these winches apart to drill new holes and bolt them to the deck, I’m stuck. Update: Lewmar sent me the answer, and it involves a rubber mallet. I will post the instructions soon.